Come and meet the new Parc Safari’s Patrol! You will experience a true expedition among more than 500 animals from five continents while seating in your car. 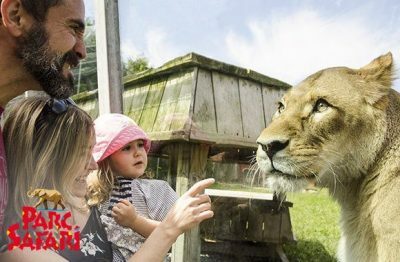 Wildlife park, car safari, amusement park, lions tunnel, animation with the Patrol Park, slides and water games! September is the perfect time to see and feed the animals while enjoying the activities that the Park has to offer. Enjoy the last warm weeks to get out of the house and do something out of the ordinary!